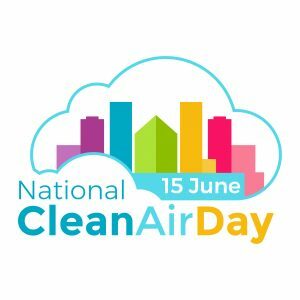 The University of the West of England (UWE Bristol) is backing the first ever UK National Clean Air Day – aimed at raising awareness of the invisible killer of air pollution and encouraging people to take action to reduce emissions. Figures in a Bristol City Council-commissioned report show that more than five deaths a week in the city are linked to air pollution. Air pollution increases the risk of heart disease, cancer, diabetes, and asthma attacks, as well as being associated with dementia. For Bristol, as with other UK cities, the primary cause of air pollution is traffic on our roads. As part of the day, campaigners are asking people to pledge to make changes to their everyday lives to reduce air pollution. These can relate to reducing their exposure by choosing to walk or cycle on side roads rather than main roads, or by avoiding being the cause of air pollution by not using cars as frequently, turning the engine off instead of idling and driving more smoothly in built up areas. To support the initiative, academics involved in a UWE Bristol air quality project called ClairCity are running a free talk in partnership with the Bristol Natural History Consortium. Entitled ‘Society vs the Individual: What really needs to change if we are to sort out air pollution and climate change?’ the talk takes place between 6.30pm and 7.30pm today (Thursday 15 June) at the Arnolfini art centre in Bristol. ClairCity, a project involving several cities across Europe including Bristol, is targeted at finding long-term solutions that allow all citizens to reduce air pollution. 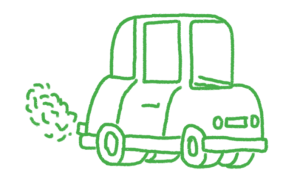 ClairCity has two main aims; firstly, it will produce advanced modelling of the air pollution in cities so that councils and local businesses are better able to plan changes that can improve air quality. Secondly, ClairCity project leaders are conducting widespread public engagement through surveys, events, school competitions and an online game and app so that local people can have their say on how they want Bristol to develop in the future. By encouraging widespread participation, the project will ensure that any decisions taken to improve air quality are solutions that will work for local people. ClairCity will launch a new survey on Monday 19 June to allow residents of Bristol and the surrounding areas to share their views. Events will take place across the city in June and July. See our Bristol events and workshop pages to get involved.